The Brewers wave a final farewell to Helena at Mondayâs game at Kindrick Legion Field. Missoula, MT - On Thursday night in Missoula, the Helena Brewers played the final game in the history of Helena pro baseball, and the stars seemed to align for the Brewers to ride off into the sunset. However, it was not to be, as Missoula scored the first four runs of the ballgame. Helena got two back in the seventh, but that was all, falling 4-2. Helena finishes their season 36-40, and the second half 19-19. Missoula scored in the first inning as a leadoff double from Alek Thomas scored on an infield single from Eddie Hernandez. Helena got the leadoff hitter aboard in the second and third innings, but hit into double plays both times. The Osprey added on to their lead in the third, as an error allowed Thomas to reach, with him scoring on a double from Blaze Alexander. Three straight singles in the fourth inning made it 3-0 Missoula, and a one out triple from Cesar Garcia in the sixth scored on a sacrifice fly from Jorge Barrosa. Max Lazar made the start for Helena, going six innings and allowing three earned runs. He finishes the season with a team high 14 starts. The Brewers got two runs in the seventh, thanks to an RBI double from Luis Avila and an RBI ground out from Jesus Lujano. However, the Brewers couldn't get anything else going in the game, managing just one base runner in the final two innings. 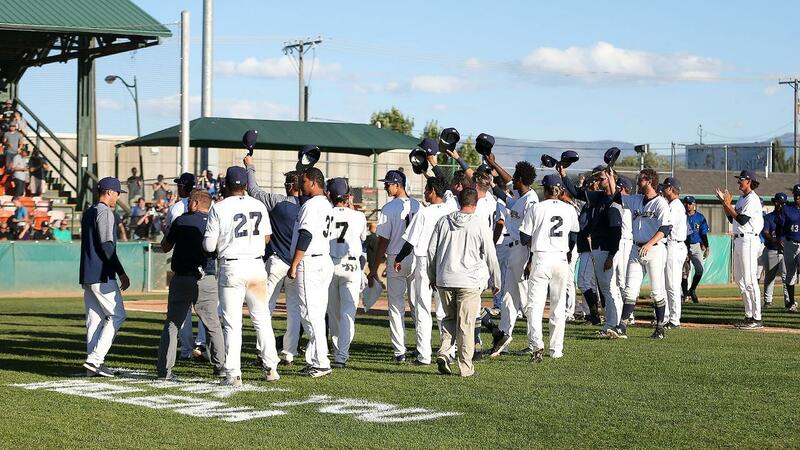 With the season over, the Brewers conclude their run in Helena, where with the exception of 2001 & 2002 they had an affiliation with the Helena franchise since 1985.The Helena franchise won four Pioneer championships, and had 134 different players make the big leagues. While the Milwaukee Brewers have not announced where they will be going, the Helena franchise will begin play in Colorado Springs as a member of the Pioneer League's Southern division in 2019.